Maureen, a pharmacist by training, has over 30 years’ experience in the life science sector including 25 years at Glaxo companies. She held a variety of leadership roles in R&D, CMC and Clinical Supplies, and supported the Glaxo R&D executive through two major mergers, firstly with Wellcome and later GlaxoWellcome with Smith Kline. On the formation of GSK, she worked in the office of the R&D Chairman as VP, Global R&D Strategy Development working on the early game-changing strategic changes that have since been copied by other organisations (internal R&D business units, competitive external research centres, strategic approach to biological therapeutics, outsourcing R&D). She co-chaired the GSK Innovative Technologies board and was secretary of the Scientific Advisory Board. During this time she represented EU industry in the drafting of the first ICH guidelines on stability testing, and clinical supplies, and the government 25 year strategic review on science. More recently Maureen has been extensively involved with supporting the growth and development of companies large and small. She is currently a business angel and a founding director of MedInnovate. She was founding CEO of NovaThera, a biomaterials and regenerative medicine company spun out from Imperial College London, for which she set the business strategy, raised the funding, recruited the board and leadership team. Novathera merged with Vetcell – a vetinary regenerative medicine company. She was a Non-Executive Director of GW Morocco and Medpharm Ltd– a specialist dermatology company. Maureen was the MedInnovate representative on the Board of Bioanalab which successfully exited to Merck Millipore at a 6.5x ROI. She was a consulting partner at Kinapse Ltd, who provide expert advisory, capability building and operational services to the life sciences industries, where she helped them establish their outsourced pharmaceutical technical documentation offering. Maureen is currently Chairman of Parafricta Ltd which has a range of medical devices protecting fragile skin from friction and shear. She is also Executive Chairman of CNBio Ltd a bioengineering and drug discovery company with world leading human organ –on- chip technologies collaborating with MIT, Imperial College ,Cambridge and Oxford Universties. 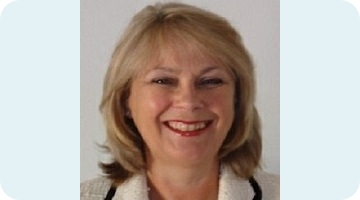 Maureen was educated in Scotland and graduated from Strathclyde University with a degree in pharmacy and pharmacology. She was the Organon pharmacology prize winner. She is a member of the Academy of Pharmaceutical Scientists. Maureen is a member of a number of women’s executive networks and a keen supporter and mentor to women developing their executive careers.